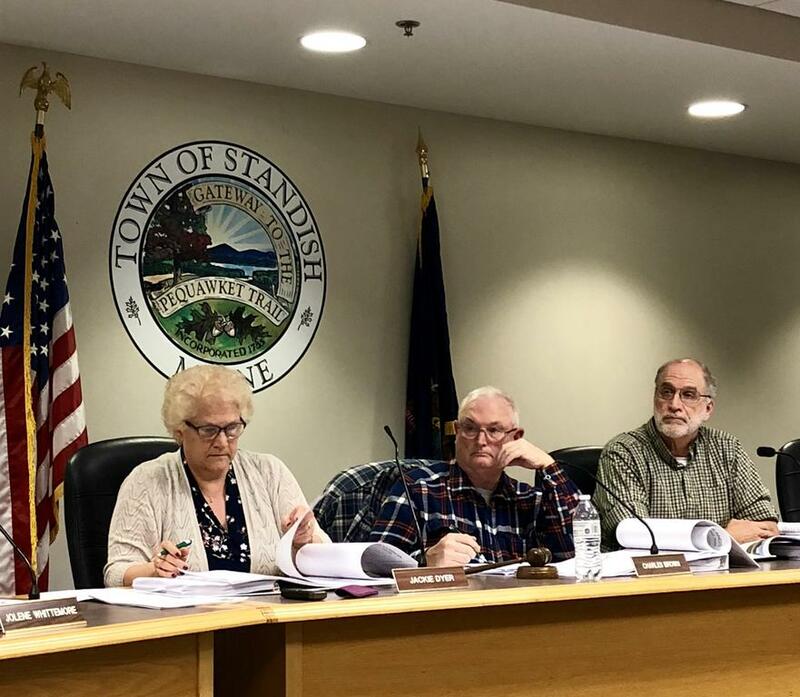 STANDISH — The proposed Highlands subdivision between Oak Hill and Route 25 includes an 80-unit village housing section and 18 single-family lots, Jeff Amos of TerraDyne Consultants said Monday. At the Dec. 3 Planning Board meeting, Amos, on behalf of Leavitt-Tompson, presented a site plan and preliminary subdivision application for the proposed project, which also features a clubhouse with mailboxes and other basic amenities. The subdivision would be served by a new public water main, Amos said. The single-family lots would each have their own below-ground septic systems, while the 80 village units would share 11 group septic systems. Buffers along the lots would deal with stormwater runoff, Amos said. Town Planner Bud Benson expressed concern that the project is in both the Sebago Lake and Saco River watersheds. “There is a lot more to discuss. This is a big project,” Benson said. The board scheduled a site walk and workshop for the Highlands subdivision project on Dec. 17. Secretary to the Planning Board Jackie Dyer, left, Planning Board member Charles Brown and Town Planner Bud Benson listen to presentations Monday night.